This press conference served as a reunion for many, introductions for a few others and each guy interviewed was STOKED to be here and very excited about the event. Gathering from what was said, be sure to expect many bands, motorcycles in good fun rock-n-roll style for the upcoming show at the Irvine Meadows concert site. Perhaps there will be some and special guests on hand for the ALL STAR JAM at the end. 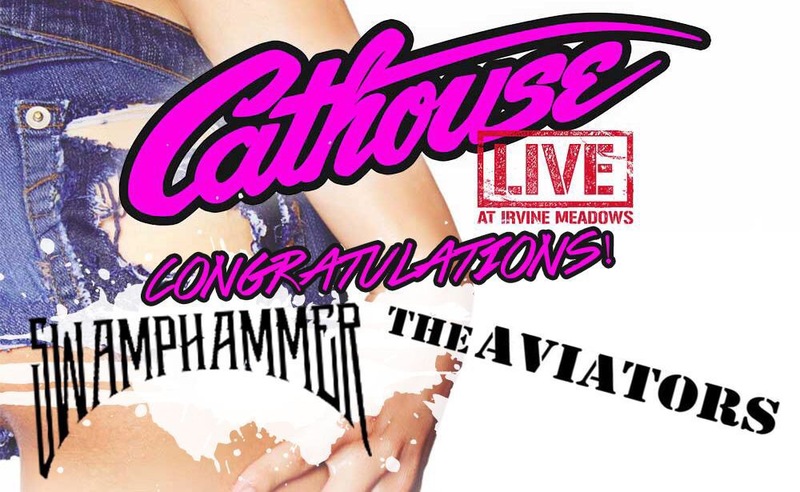 Riki Rachtman created Cathouse, the original rock dance club that dominated the Hollywood scene from 1986-1993. The original Hollywood Cathouse was known for its edgy, underground, dirty rock ‘n’ roll vibe that was rooted in punk. It reeked of raunch and pure decadence. Patrons would freely indulge. The DJ played rock ‘n’ roll between unannounced performances from bands like Guns N’ Roses (Cathouse regulars who performed live at the club in 1986 just before their debut record was released), Sebastian Bach, Stephen Pearcy of RATT, L.A. Guns, Faster Pussycat, Junkyard, Jetboy, Bang Tango, Saigon Kick, Black ‘N Blue, Little Caesar, and many more. Guns N’ Roses’ video for “It’s So Easy” was shot at the Cathouse, Alice Cooper played one Halloween, and when Ice-T was banned from every Los Angeles club, Riki invited his band Body Count to play Cathouse. “It wouldn’t be uncommon to see Guns N’ Roses one week and Alice In Chains the next–so many bands played before they were huge. On August 4, Riki will be riding his Harley Davidson from North Carolina to Los Angeles After Cathouse Live, Taime Downe (Faster Pussycat) and Riki will ride from Los Angeles to the Florida Keys, having the Twitter community designate where they stop. Riki was a radio personality on KROQ’s Loveline for many years and the host of MTV’s Headbanger’s Ball. Riki’s weekly 2-hour radio show Racing Rocks airs on 120 radio stations across the U.S.
Cathouse Live will have several icons from that era doing autograph signings in the Cathouse booth in the vendor village including Bobbi Brown (Warrant’s “Cherry Pie” girl, Rock Star Wives star, author).